STL’s very own Ben Williams cycled from Canada to New Mexico raising funds for Cancer research a charity close to his heart. When Ben Williams, Safety Technology USA’s training director and head of GWO training, walked into the office and said he wanted to take 6 weeks off work to go cycling he received a few quizzical looks from his colleagues. But, after he’d explained he was taking on Tour Divide Ultra-Cycling Challenge and that he was doing it in aid of vital cancer research, the company quickly mobilised efforts to help him on his way. The Tour Divide Ultra-Cycling Challenge which is described as “the world’s longest and toughest off-pavement cycle route” climbs nearly 200,000 feet – the equivalent of summiting Mount Everest from sea-level seven times. Along the route Ben endured the off-road trails and passes of the Rocky Mountains, gruelling hill climbs, stretches of barren desert and extreme heat as well as the daily physical and mental challenges associated with ultra-mountain biking of this type. 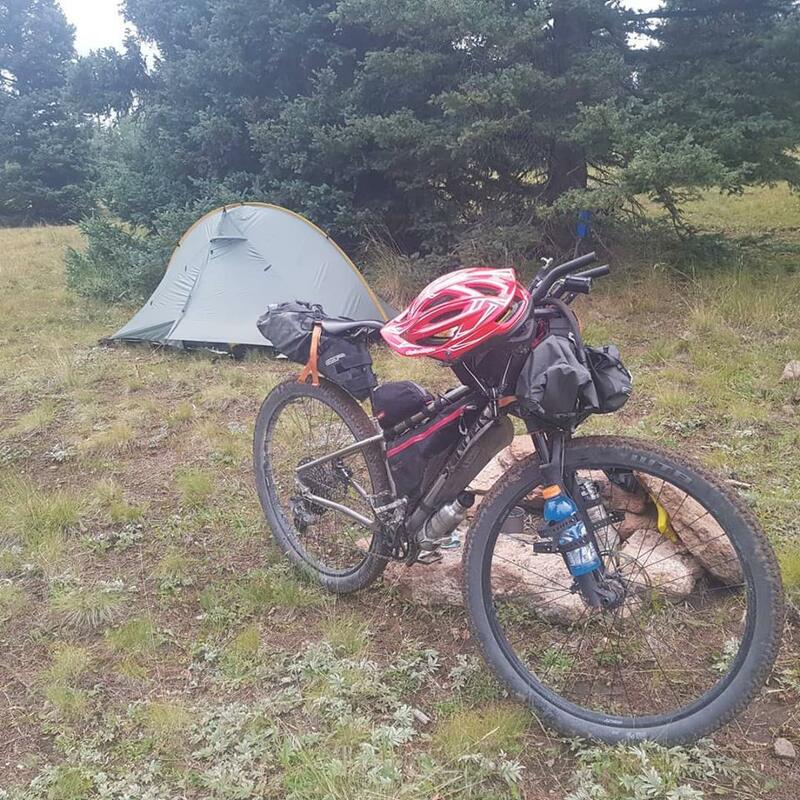 Solo and unsupported with just a tent, bike and GPS this complex route inhabited by locals such as grizzly bears and mountain lions, adding another dimension to the daily challenge. Undeterred Ben made the most of this fantastic opportunity. Ben decided to take part when someone truly dear and amazing to him suffered pain and discomfort on a level he could not comprehend. As a tribute he wanted to put himself through pain and discomfort for about a month to raise funds to continue research and help prevent others from experiencing the same level of pain. Lynne Eagles, Cancer Research UK’s local fundraising manager for Wales, said: “We are absolutely delighted that Ben has decided to attempt such an incredible and gruelling challenge to raise vital funds for Cancer Research UK. 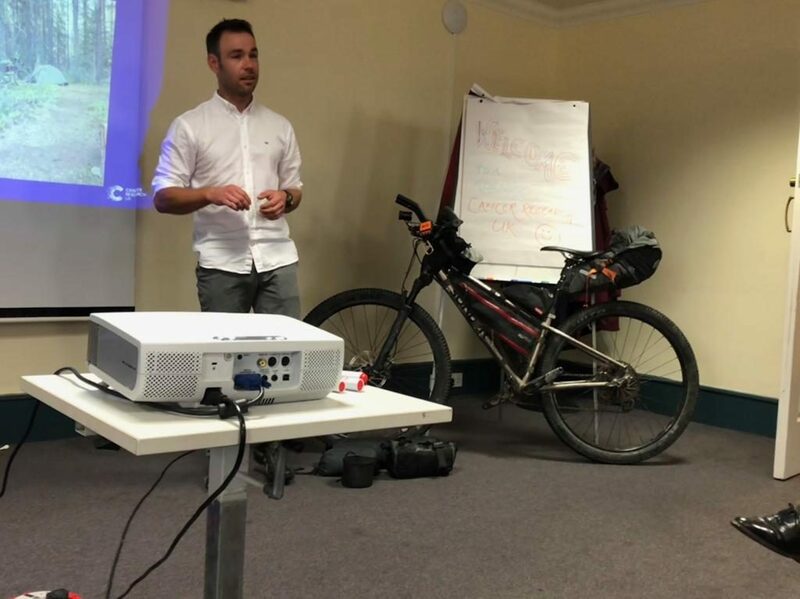 Ben was invited to speak by Cancer research about his epic ride at a recent event. For those who have felt inspired by Ben’s challenge, why not sign up to a cycling challenge of your own? Maybe start with something a little more easy to manage though! !